Reference: Peter Self, Government by the Market? The Politics of Public Choice, Hampshire and London, Macmillan, 1993, p. 65, 69. These bodies provided a vital arena for fusing academic theories with practical policies and for spreading the new gospel among politicians, officials, academics and the media… The ‘policy intellectuals’ in the think tanks, private offices of ministers and the large policy staffs which serve President and Congress adapt the original ideas to what they see as political opportunities. The media are enlisted to spread the ideas in the form of simple, often dogmatic assumptions. 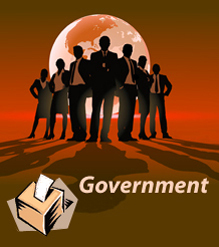 Bureaucracies are permeated with new policy directions and axioms. A new ideology is created for political consumption. Reference: William Greider, Who Will Tell the People: The Betrayal of American Democracy, New York, Simon & Schuster, 1992, p. 52; Winand Gellner, ‘The Politics of Policy "Political Think Tanks" and Their Markets in the U.S.-Institutional Environment’, Presidential Studies Quarterly, vol 25, no 3, 1995, p. 505. Reference: David Ricci, The Transformation of American Politics: The New Washington and the Rise of Think Tanks, New Haven, Yale University Press, 1993, pp. 41-49. Ricci, in his book The Transformation of American Politics, argues that politicians often lack any vision or philosophy or a coherent set of values that would enable them to deal with the mass of information at their disposal; to distinguish between the ‘good and bad, significant and insignificant, relevant and irrelevant.’ Politicians and government officials therefore look to experts in the think tanks to interpret and make sense of all that information. This gives rise to a set of policy entrepreneurs based in think tanks who usually have the coherent vision that politicians lack. Reference: Sidney Blumenthal, The Rise of the Counter-Establishment: From Conservative Ideology to Political Power, New York, Time Books, 1986, pp. 8, 36. Corporate funded neoconservative think tanks proliferated and expanded in the US in the 1970s campaigning against government regulation. Their explicit political goals caused them to be referred to as advocacy think tanks. These think tanks helped bring Ronald Reagan to power and then influenced his policies when he was elected president in 1980. As in the UK, the relationship was two way. Reagan gave the free-market ideologues position and status, in return they gave his ideas credibility. According to Feulner of the Heritage Foundation, ‘Our presence made Reaganism more acceptable’.